Following the successful conferences in Berlin (2014) and Helsinki (2016), the Co-Chairs’ Circle held its Third Global Conference to jointly debate topical issues in international arbitration. 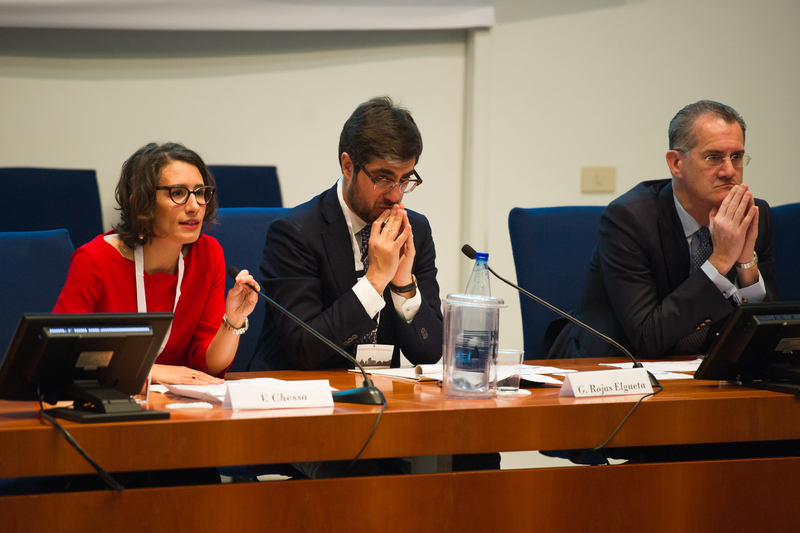 The conference was organized by Arbit (Italian Forum for Arbitration and ADR) in partnership with Università Roma Tre, AIA Associazione Italiana per l'Arbitrato and CAM. The Co-Chairs’ Circle (CCC) is an informal platform for cooperation and networking between different groups of young arbitration practitioners from around the world. Delos President Hafez R Virjee took part in the panel dedicated to "The arbitrators of tomorrow", alongside Milena Djordjevic, Assistant Professor in International Commercial Law and Arbitration Law, University of Belgrade, Athina Fouchard Papaefstratiou, Counsel, Eversheds Sutherland and Clarisse von Wunschheim, Partner & Co-Head of Dispute Resolution, Altenburger. The panel was moderated by Eléonore Caroit, Associate, Lalive.